I love my Irish blood glad to say I have a bit of Ireland in me. Nice picture!! Always wanted to be Irish. nice wallpaper. kewl wall!! +1 DL FAV will be my desktop on St Patty's Day!! LOL thanks!! Its Nice, but it would be better if there's a forest for her background and a pot of gold?? isnt it?? more detail more better?? 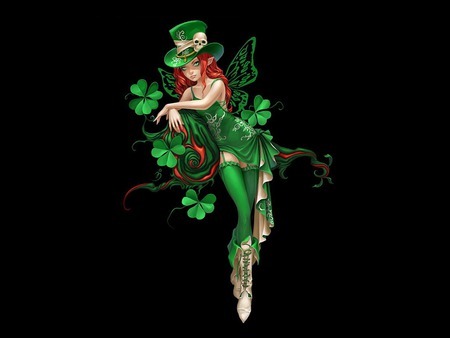 I'm not Irish, but I sooo like it!